In advance of MISC’s The Cities We Need conference on Feb. 19-20, Dan Mathieson, Mayor of Stratford, talked to the Reporter about the importance of art and culture; the secret to longevity in politics; and the side of Stratford you didn't know existed. Dan Mathieson is in his fourth term and mayor of Stratford. Dan Mathieson is in his fourth mandate as Mayor of Stratford, Ontario, a town known for its summer Shakespeare festival, as well as the Stratford Music Festival and other cultural activities. 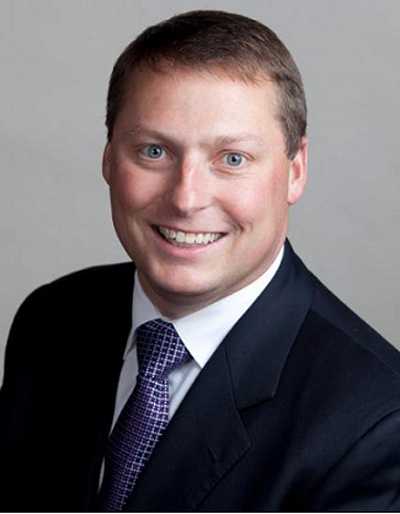 Mathieson is currently Chair of the Ontario Municipal Property Assessment Corporation (MPAC), a member of the Board of Directors of Festival Hydro and Rhyzome Networks, the Stratford Shakespeare Festival, Kings University College at the University of Western Ontario and the Advisory Board of the University of Waterloo-Stratford Campus. He is also a Governor on the Board of i-Canada and is on the Advisory Board for Walsh University – Institute for the Study of the Intelligent Community. The Reporter caught up with Mayor Mathieson in advance of his appearance at the MISC conference. Obviously, when people think of Stratford, they think of arts and culture. What advice would you give about how to turn a town into a must-go cultural destination? Stratford’s success as an arts and cultural destination has been fortified by the diversity of our offerings. The Stratford Chef’s School along, with many of our exceptional restaurants, provide an unparalleled culinary experience with an idealistic setting – our heritage downtown core and a vast river and parks system that plays on the strength of our natural and built heritage. The walkability of our community along with our unique boutique and retail shops allow for a relaxed atmosphere where visitors are encouraged to take more time and appreciate the tranquility of their surroundings. We have many artists and artisans that provide locally grown and produced products. Culture aside, what are some of the things people would be surprised to learn about Stratford? Aside from arts and culture, Stratford has very strong manufacturing, agriculture, technology and service sectors. Fifty percent of our population works within the automotive sector. Agriculture production in Stratford and Perth County generates $1.7 million per day in farm gate receipts making it one of the top agricultural producing counties in the country. Stratford has been recognized 3 times as a Top 7 Smart City by the Intelligent Community Forum in New York City. We are also home to a digital media program at the University of Waterloo/Stratford Campus. Lastly, Scotiabank and RBC have large footprints in our community and operate national data centres here. You’re currently serving your fourth term as Mayor. What’s the secret to longevity in municipal politics? My success as Mayor has been dependent on my ability to be a good listener and communicator. I have worked hard to build a broad-based and strong network that spans all walks of life in our community. I believe Council, city staff and our residents help me develop a strong vision for where we want to go as a community and they have supported me in moving swiftly in that direction. At The Cities We Need conference, you’ll be on a panel with the Mayors of Halifax, Yellowknife, Mississauga, and Châteauguay. What issues are you hoping to bring up? I’m hoping to discuss how to engage our senior partners in government (provincial and federal) on building better infrastructure, supporting the expansion of broadband connectivity and economic development. Also, I would like to discuss the need for greater social development including an increase in public housing and ways to bridge gaps between economic diversity in our communities. Read the interview with Bonnie Crombie, Mayor of Mississauga.